LUXE! Can you say wow!? 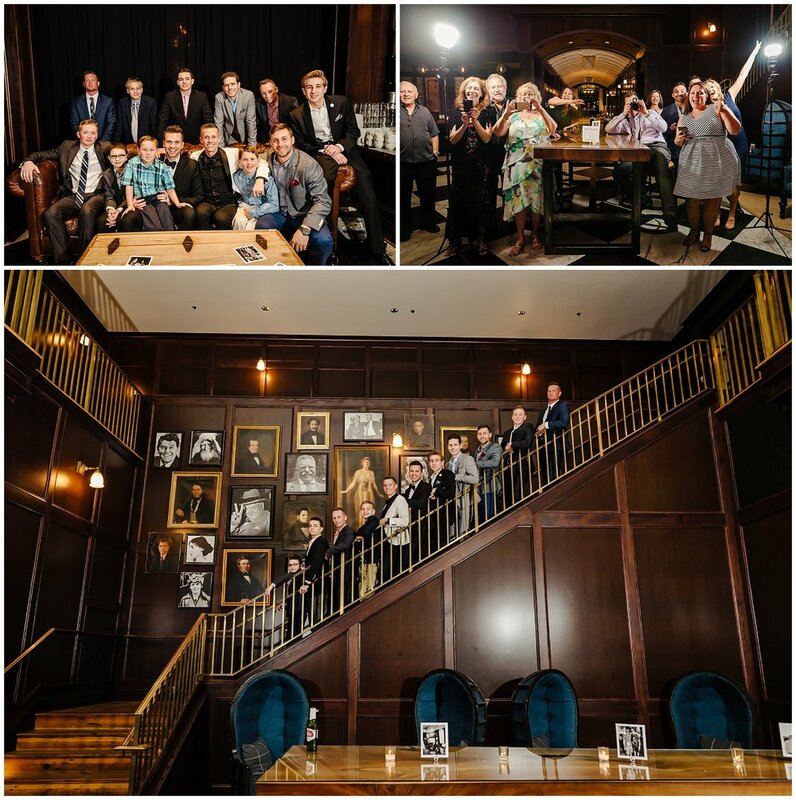 Ryan and Nickolas kicked off their epic wedding weekend with a stunning rehearsal dinner at the Oxford Exchange! Complete with beautiful signage and amazing desserts! It was so special to be a part of their closest family and friends for the end of their dinner. Ryan unveiled a beautiful poem he wrote about his late Step Father and there was not a dry eye in the house. The love and joy coming from this group was overwhelming and they were soon able to shift into party gear after lots of hugs. Of course they ended their rehearsal dinner with a dance party! I mean this is Nick & Ryan we're talking about! Soon enough other wedding guests and friends showed up int heir finest to start the festivities! It was an awesome preview fro the coming day!